Every now and then you come across and idea and say, “why didn’t I think of that?” With me it is far more frequent than most. Band-Aids that are clear to match the color of an individual’s skin—my idea! Well, not really, but well before they came to market, I did think about why there weren’t different shades of band aids to match different skin tones—so I am going to own it. This past week, a new product scrolled across my Facebook timeline that I think has some incredible potential for the travel industry and frequent international clients. And like the Band-Aids, I did not think of this one either! We already had an app called WordLens (which Google bought and merged into Google Translate) that allowed you to open your camera and point it at a sign, menu, or any other written word and it would translate it for you in real time. If you don’t have it—get it. It is very cool. It is an essential for travelers and a simple to use as looking at your phone. Where Google Translate fell down a little is in the spoken word. More often than not, we are speaking (or trying to) and not writing. And dealing with a phrase book (are they still made?) or tapping into a smart phone for a translation is cumbersome at best. To me, the beauty of this product is not the translation itself, but that it does not rely on a cell signal or Wifi to use. With your cell phone, if you are in the middle of Mongolia, you may have a problem—break out the old phrase guides. Heck, I can barely get cell service in my living room. 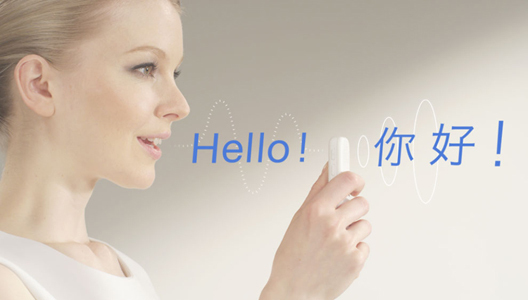 To have a small, affordable ($249 will be retail) device that will handle the translation for me is a game changer. I took Latin in high school and college. I can butcher every single one of the romance languages and I am sure have irritated hundreds of locals with my lame attempts at communication. As a side not, I still have not been able to have a chat with the Pope—go figure. Stupid Latin. Now, when iLi hits the market, I might stand a fighting chance of not making a linguistic fool of myself. The iLi is geared to the traveler and will ultimately support many more languages than the current four of English, Mandarin, Spanish and Japanese. From the videos, you can naturally speak and obtain the correct translation. Of course, the proof will be in the pudding when this comes to market, but I am encouraged. Students doing study abroad, exchange students, business travelers, and leisure travelers all have a need. I can’t wait to try it out! What do you think? Are you as bullish on this as I am? And I wonder how long until Amazon, Google, or Apple snatches them up?